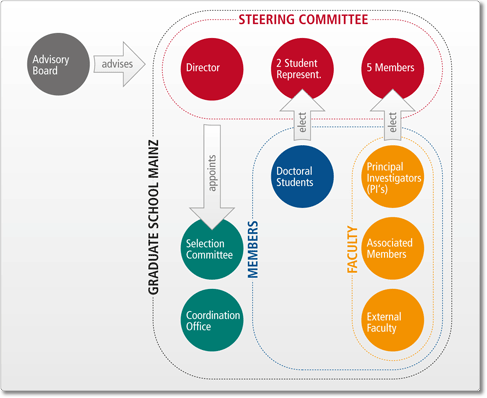 Our organizational structure in the Graduate School Materials Science in Mainz (MAINZ) ensures efficient and professional management. Our students can focus on their scientific projects, while we take care of most of the rest. Still, we encourage students to make their own contribution in the organization of the graduate school and shape it to the best.